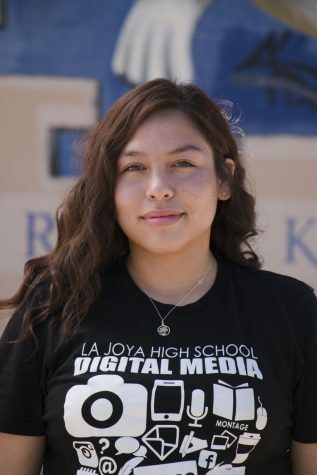 Veronica is a talkative, very helpful, funny girl who is currently a Junior at La Joya Community High School in Avondale, AZ. She is currently enrolled in Digital Media working the schools online newspaper, the yearbook, and the school announcements . Her biggest accomplishment in yearbook was learning how to make a page without an help. She enjoys spending time with her friends and family. She looks up to her older brother for everything especially when it comes to making wise choices.Her yearbook buddy is Kealohalani Viernes and they've known each other since freshman year. Her main focus this year is learning new things and participating in her school. After high school, she would love to attend Estrella Community College. She wants to study nursing because she loves helping other people mostly the ones who need it.